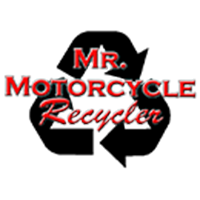 At Mr. Motorcycle we have a large indoor Motorcycle Service and Repair Facility. We work on all Honda, Kawasaki, Suzuki, and Yamaha. Early and late model sport bikes, cruisers, dirt, ATV’s and Chinese. We work on the bikes even the dealers refuse to touch. We have Certified Technicians who take pride in their work. Here at Mr. Motorcycle we have a “Service Advantage” over other service and repair centers. We have millions of parts in stock to get your bike back on the road fast! We rarely have to wait on parts from the dealer or other shops. Come on down and let our professional and experienced staff service your motorcycle. Certified Baja Motorsports Service and Repair Facility! Free pick up/tow service available, ask for details! With NO DEPOSIT required we ensure our customers are 100% satisfied before payment is made. Your Satisfaction is our Guaranteed! Starting at $20.00 off bike & $40.00 on.